Maybe it’s the winter cold, maybe it’s the darkness or maybe it’s the 20 hours of summer daylight during which we’re fueled by a ‘round-the-clock intake of espresso. Whatever the reason, there’s something about Alaskans and their coffee. Not only does Anchorage have the second-highest per capita number of coffee huts in the U.S., according to a 2011 study conducted by the NPD Group, the state is also home to numerous top-notch coffee roasters making Alaska’s vibrant coffee culture very self-sufficient. SteamDot Espresso & Coffee Lab came into the Alaska coffee scene a few years ago with espresso machines a-blazing. This roaster features a simple menu of slow bar creations, from your typical single-cup drip to the siphon pot that looks like a contraption out of H.G. Wells’ “The Time Machine.” This is truly a coffee lab, where baristas carefully measure the grounds and use a stopwatch to keep track of brewing time. They have it down to a science here; consistently great coffee, a few choice homemade baked goods and music emanating from a record player make SteamDot the perfect place to study, meet up with a friend or stop for a cup o’ joe to go on your way out of town for a hike. With 13 locations in Alaska and one in Seattle, Washington, one of the Last Frontier’s most well known coffee roasters is Kaladi Brothers Coffee. Alaskans have loved their Kaladi coffee since it began as an espresso cart in 1989. Kaladi stores offer fair trade and organic coffee products as well as delicious treats baked daily at L’Aroma, a local bakery and wholesale bread supplier. Kaladi prides itself in being a catalyst for community through partnerships with local nonprofits, maintaining a presence at many statewide events and sticking to its commitment to give back to the community whenever possible. If you’re down in Homer, K Bay Coffee is the place to go for a seriously delicious cup. It is also available at several locations in Anchorage, but we think the original location in an industrial parking lot in Homer is a cultural landmark of its own and is worth a stop. K Bay’s coffee, named for Homer’s Kachemak Bay, is also of the organic, fair-trade variety. Alaska’s coffee roasting history started in 1974 with Juneau’s Heritage Coffee Roasting Co. Originally from the San Francisco Bay Area, founder Gary Saunders traveled his way around the world one cup of coffee at a time before moving to Juneau where he was devastated to find the coffee scene highly lacking. He started his own place selling wholesale Starbucks coffee until 1982 when he purchased his first coffee roaster at the suggestion of Jerry Baldwin, Starbucks’ original founder. 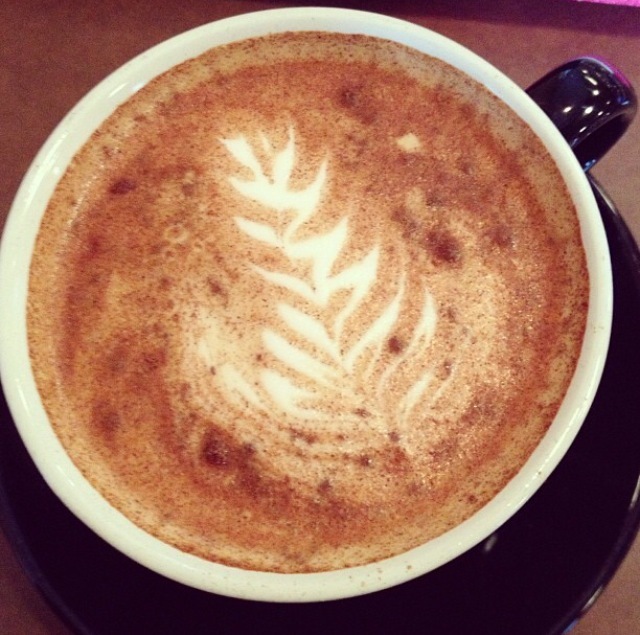 Today, Heritage Coffee operates seven cafes and drive-thrus in Alaska’s capital city. Fairbanks doesn’t fall behind on its coffee offerings either, and that’s probably a good thing in a city where winter temps can dip under 50 below! It’s not uncommon for folks from across the state on a visit to the Golden Heart City to stop at Alaska Coffee Roasting Co. to pick up a bag of freshly roasted coffee beans to take home with them. Alaska Coffee Roasting Co.’s in-house bakery is just as popular for their scrumptious pizzas and pastries as the roaster is for its coffee, roasted daily in the back of the house. And finally, any discussion of coffee in Alaska would be incomplete without mentioning its insurmountable number of drive-thru coffee huts. There’s one on nearly every street corner, staffed by cheery baristas who remember their regulars’ orders, making the experience doubly satisfying. These huts are the perfect answer to both a snowy morning commute and a casual stroll on a nice summer day. Whenever and however you need it — morning, night, hot or iced — don’t worry about where to get your caffeine fix. Alaska’s got you covered!